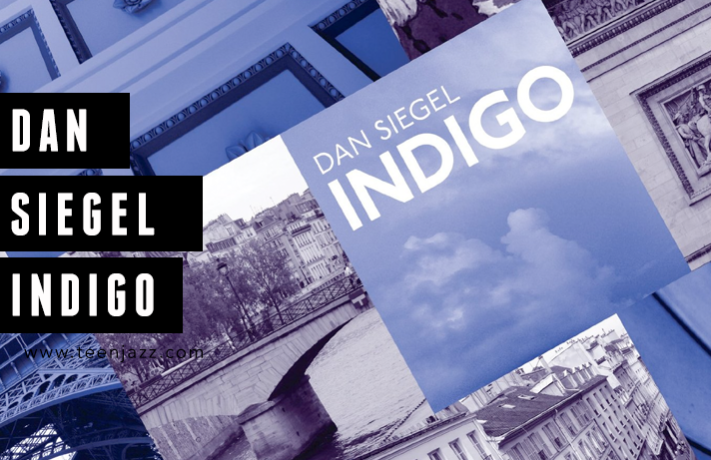 Pianist Dan Siegel’s latest solo release, Indigo, was released fall 2014. It includes a collection of ten original compositions in the jazz style. Accompanied by Yellowjackets veteran Will Kennedy on drums, Bob Sheppard on sax, guitarists Allen Hinds and Mike Miller, percussionist Lenny Castro, vibraphone player Craig Fundyga, and bassist Brian Bromberg, Siegel takes listeners on a journey across an array of soundscapes. T he listening journey begins with “To Be Continued,” a mellow track with Sheppard’s fluid tenor playing taking the lead on melody. “Indigo” is a track that gets your head moving with the guitar on lead, and “Beyond” is next with a a beautifully written melody played by Dan Siegel with an acoustic guitar keeping accompaniment. “Spur of the Moment” has elements of the big band swing genre with it’s horn section playing around the melody. This is definitely an album I plan on keeping in my playlist for some time. Siegel shares production credit with Bromberg, and their chemistry in the study is certainly present on this release. The various textures and arrangements on the project keep you on your toes from track o track. Dan Siegel made his Top 10 Billboard debut with his second release, “The Hot Shot” and hasn’t looked back since. In addition to his work as a film and television composer, he has played with artists such as Herbie Hancock, Boney James, Joe Sample, Bela Fleck, John Patitucci, Berlin, Chaka Khan, and Philip Bailey.